Understanding data center options is a lot like buying beer. What does buying beer have to do with healthcare providers selecting the right mission critical data center solution? The considerations that go into buying beer are a lot like those that go into deciding whether to lease or own a data center to accommodate the deluge of digital data flooding the healthcare industry. Technology is fundamentally transforming how healthcare providers prevent, diagnose and treat illness and disease, how information is shared — and how quickly — and how patient records are managed, analyzed and stored. On top of that, millions of Americans are now receiving healthcare under the Affordable Care Act and the nation's healthcare system is shifting from a volume-based payment structure to a value-based one with more focus on personalized medicine and disease prevention. In 2004, the provider managed 800,000 electronic health records, which at that time consisted mostly of financial data. The number of electronic health records, which now includes much more than just billing information, has jumped to 40 million in 2012 and is expected to rise to 53 million by 2016. Online medical test results and scans, such as an 100MB MRI file, which were non-existent in 2004, jumped to 30 million in 2012 and are expected to rise to 50 million in 2016. The number of "smart technology" clinical devices, such as intraoperative MRI machines and equipment that enables robotic medicine and remote monitoring, is projected to rise to 40,000 in 2016, up dramatically from 15,000 in 2012 and zero in 2004. The provider did not offer self-service options on its website in 2004. Now, its website generates 120 million self-service visits annually, which is projected to be at least 200 million in 2016. Similarly, self-service visits via mobile phone apps did not exist in 2004. In 2012, the provider recorded more than 500,000 such visits. Given that there are currently 1.4 billion smartphone users and nearly one-third of them have some sort of health app, the provider estimates that the number of self-service visits via mobile phone will reach at least four million in 2016. How and where care is — and will be — delivered. For example, healthcare providers may need more extensive networks as delivery of care shifts from big hospitals to several smaller outpatient facilities and kiosks. Storage and computing capacity requirements given their organization's electronic health records, electronic diagnostic and monitoring equipment, and analytical tools and other software applications. The resources for and in-house expertise in information technology (IT) and data center facilities. Current and projected IT needs, such as computing and networking equipment, power requirements, redundancy and back-up systems. Security requirements to protect data under the Health Insurance Portability and Accountability Act (HIPAA). Only 6% of HIPAA violations were attributed to hackers between September 2009 and July 2012, but that is expected to sharply increase. 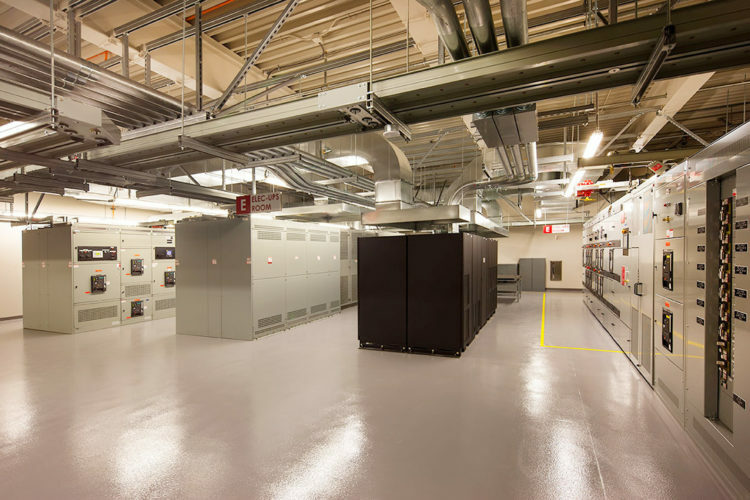 Because mechanical and electrical systems typically account for more than two-thirds of a data center's cost, data center space is typically measured in terms of the kilowatts (kW) of power directly available for computing equipment, rather than the leasing or construction price per square foot of brick-and-mortar space. 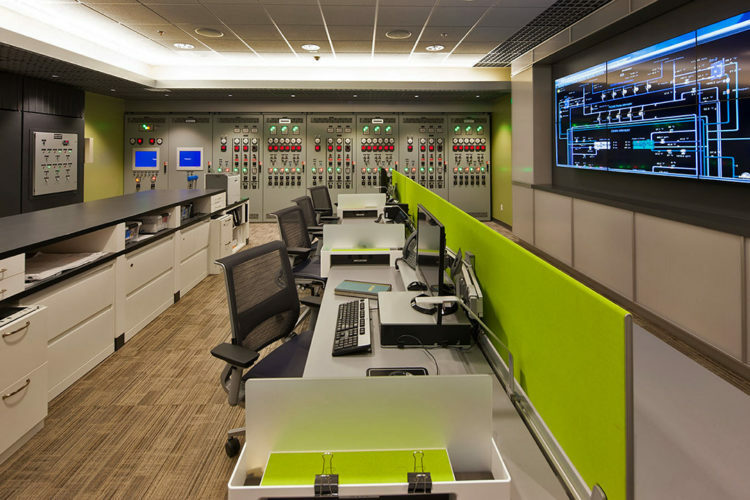 A data center's total power consumption can range from 100kW to 200kW per square foot. In comparison, a hospital's total power consumption may only be 15kW to 35kW per square foot. Now, let's get back to that beer. Here's our take on data center options for healthcare providers as seen through the simple task of buying beer. Getting a pint of beer at a bar requires very little effort for the consumer. The consumer selects a beer, orders it, pays for it and, of course, enjoys drinking it. The bar does everything else: The bar owner provides the space to sit and drink, and hires staff to make sure a selection of beers is kept cold and in stock, serve the beer and wash the glass. For this full service, the consumer pays a premium for each beer. Buying a beer — or two — at a bar is comparable to leasing a server — or two — worth of cloud storage and processing. Cloud providers supply the environment, servers, generators, uninterruptible power supply (UPS), physical security, data security and service all the way out to the end users. Similar to buying beer in a bar, users pay a premium for services and leasing servers from a cloud provider. Pricing varies widely from $250 to $2,500 monthly per server. However, users are usually able to deploy their services immediately with cloud providers. Given that, cloud storage makes the most sense for small healthcare providers — or at least those organization that need an immediate data storage solution. 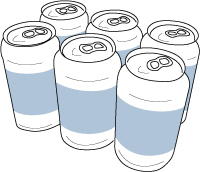 By buying a six-pack of beer at the grocery store, the consumer pays less per beer than in a bar, but has to do most of the work, including clearing space in the refrigerator for the beer, deciding where and how the beer is served, disposing of the bottle or can and washing the glass or mug, if one is used. This is on par with installing servers and other computing or internet hardware in a hosted data center — or colocation facility. At a colocation facility, a healthcare provider can lease space by the rack, cage or room. But the healthcare provider needs to have the IT expertise to procure the appropriate equipment and systems, as well as set-up, operate and maintain the equipment and systems. The colocation center provides the facility, cooling, power, bandwidth and physical security, although some also offer managed services. Like the cloud option, healthcare providers can usually deploy their services at colocation data centers immediately — as long as the provider has its equipment ready to go. With rack space leasing for $1,100 to $3,600 per month, the colocation option makes the most sense for small- and medium-size healthcare providers that have equipment power demands under 500 kW. The minimum leasing requirement for most wholesale data centers, which is the next level up, is usually 500 kW. The moment frame connection system requires virtually no field welding due to a patented connection prefabricated in the shop. Buying a 36-pack of beer at a wholesale club like Costco still requires the consumer to do the work to store and serve the beer cold and clean up, but the cost per beer drops even more. 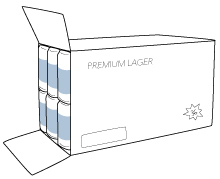 This wholesale model of buying beer in bulk is similar to leasing substantial data storage and processing capacity – from 1000 kW to 4000 kW – from a wholesale or merchant data center, which offers better pricing than colocation. Depending on the location, wholesale data centers charge $105 to $150 per kW per month. However, wholesale data centers typically lease space in 500 kW increments, making it more difficult for smaller healthcare providers to scale up from colocation or cloud storage. Leasing wholesale data center space makes the most sense for medium- to large-size healthcare organizations. Healthcare providers are usually able to deploy their services immediately at wholesale data centers, but sometimes, a three- to four-month wait is required for the merchant to build out space. A consumer buying a keg of beer – and forfeiting the deposit by not returning the keg – is akin to a healthcare provider owning and operating its own a data center. Oftentimes, healthcare organizations want to own and operate their own data center to keep tight control of their data and systems, but organizations need to determine if that makes business sense. Healthcare providers need to consider the total cost of owning the facility – not just the capital costs. Internal resources and expertise are necessary to handle the ongoing operation and maintenance of data centers. That's particularly important given that energy costs are on the rise and servers hosting mission critical data and applications need a “refresh” – or a swapping out – every three to four years to reduce the risk of failure, as well as for computing and energy efficiencies. Sizable healthcare organizations that need at least 5,000 kW — or 5 megawatts (MW) — of capacity, have an extensive real estate department that already oversees hospitals or other large facilities and can work collaboratively with its organization's IT and facilities departments in designing and building the data center are best suited to operate their own facility. Some medium-size, regional healthcare organizations are incorporating smaller data centers that have 1,000 kW (1 MW) or less of capacity in their hospitals to host their data — or at least their most critical data. Hospital facilities already have high reliability requirements and safeguards, which mission critical data centers also demand. Having a data center within a hospital also enables the healthcare organization's IT staff to develop and test new hardware and applications. Location: Unlike hospital and other medical facilities, mission-critical data centers can be placed almost anywhere. But the site selection process has become increasingly complex because of the need to balance costs associated with various locations and potential disruption risks. Nearly every region of the country is vulnerable to some type of natural disaster that can knock out a data-center facility. 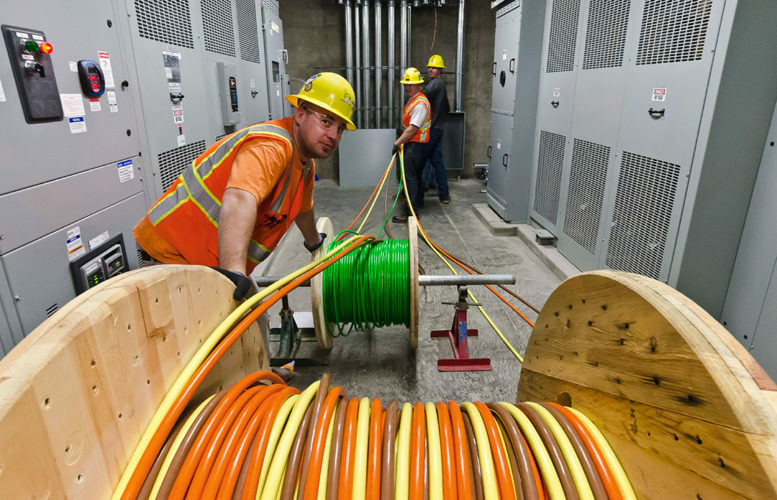 Other key considerations include the site's proximity to the nearest fiber bank, whether that fiber meets the healthcare organization's bandwidth and latency requirements, and a strong IT workforce in the area. Utility Costs: Electricity costs are also related to location. Keeping servers and other equipment running, having redundant back-up systems, air conditioning and security means huge utility bills, which have pushed data-center owners and operators to remote locations where the cost of electricity is lower. However, if a site is too far from a power provider's transmission system, then substation and transmission fees may wipe out any rate savings. The need to prevent IT equipment from overheating also adds to electricity costs. Oftentimes, a location where dry, cool outside air can be used instead of air conditioning should be considered. Tax Considerations: Sales and property taxes can be a significant cost to data centers, accounting for as much as one-third of a data center's operating cost. Given that the average IT refresh is every three to four years, tax structures become important considerations. New Construction: New data center construction excluding computer equipment and real-estate costs will typically run from $7,000 to $15,000 per kW and will often take 10 to 18 months to complete. 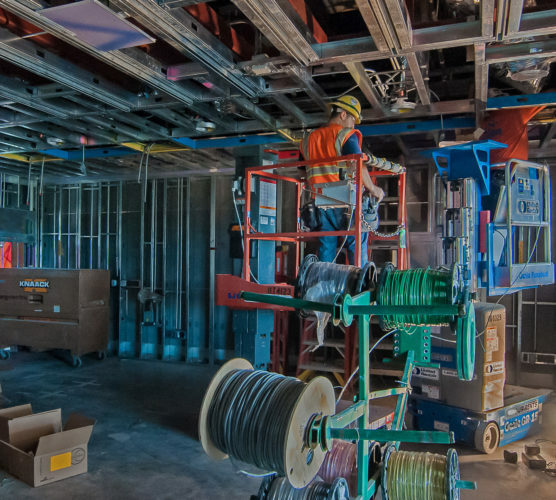 Using virtual building methods and taking an integrated approach by including the healthcare organization's facilities management and IT groups in the project team for the planning, design and construction of a new data center – or renovating an existing one – is crucial to create an efficient and cost-effective facility. Adaptive Reuse: Repurposing existing facilities, particularly those that have existing electrical or cooling infrastructure, into data centers can save substantial capital. For instance, North Carolina is home to many former textile factories with huge power deployments that can be reused, which significantly reduces the per kW cost and construction time. 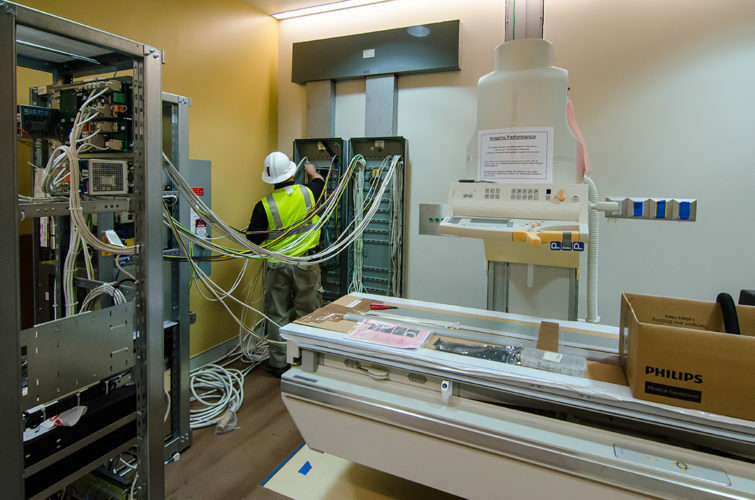 Renovation: If a healthcare provider has legacy – or outdated – applications or equipment that cannot be replaced or relocated or if an existing location is a prime one, then renovating the facility is the most effective option. While renovating around an existing data center that must remain operational is not ideal – and comes with the risk of disruptions – that of course saves on real-estate transaction fees and allows for the reuse of some of the existing infrastructure. Healthcare and IT have converged. Electronic patient information, household information, clinical notes, claims data, health assessments and pharmacy data are increasingly being analyzed and used to offer prevention, diagnosis and treatment to patients and allow healthcare organizations to create efficient and effective processes and programs. Gone are the days of simply using Live Aisle storage shelves or transforming a closet into a data center. Healthcare organizations need to start thinking like technology companies – and how they want to buy their beer.